BENGALURU: There is no denying that the darkness of the night holds a different charm. Daytime riding is becoming increasingly difficult with the busy traffic and onset of summer. But there is still plenty of fun to be had once the sun goes down - riding your bike during night-time is amazing. Night rides in Bengaluru is picking up fast. Cycling groups have begun organising them weekly all across the city. The cyclists say, during night rides, they feel closer to Mother Nature. Everything, they say, gets lost in the hustle and bustle of the day time. Apart from Bums On The Saddle, South Fire Cycling Group Bangalore also organises night rides every Thursday from 10 pm to midnight. Aditya Mandonca, a member of the group, says that their only aim is to do something different and explore the beautiful Garden City at night. 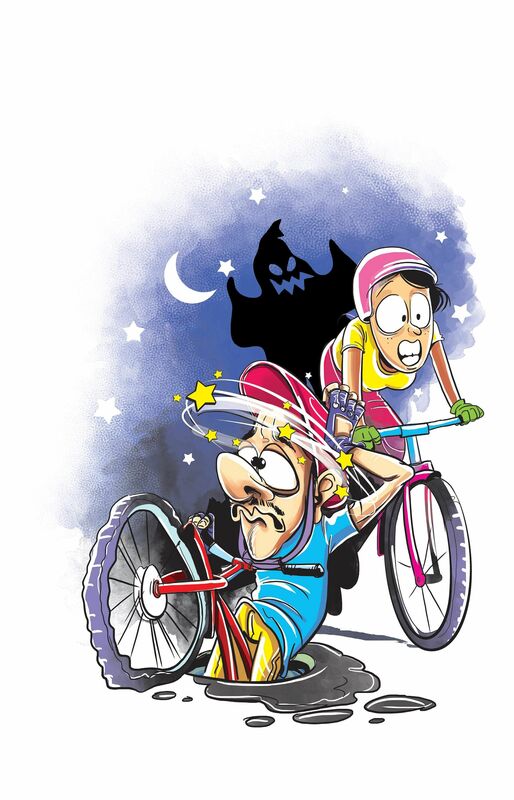 A solo cyclist, Aparna Jayanth talks about a ghostly encounter she had recently in the night. “Travelling along in a little circle of light that stretches for a few metres in front, there’s a sense of passing silently and unseen, like a ghost, through something huge,” she says.